There is currently only one direct ferry service operating to and from Taveuni via Savusavu (Vanua Levu) from Suva and one indirect service from Natovi Jetty (Viti Levu) to Taveuni via Nabouwalu in Bua (Vanua Levu) Savusavu and Buca Bay (Vanua Levu). 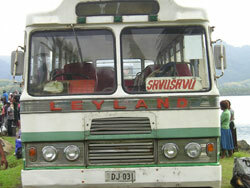 The direct journey from Suva usually takes 14-16 hours and is an overnight service. The whole journey is arduous, and it is recommended to take either first-class lounge sleeper or a cabin (where possible), so that you can lie down and sleep, rather than sit upright in economy. For further information, please contact Goundar Shipping directly. P: (+679) 330 1035 or visit their office in Tofua St. Walu Bay, Suva. Boarding time for passengers is around 4pm and departure time from Suva is usually 6 pm or sometimes midnight (depending on its schedule), and takes about 14-16 hours to arrive in Taveuni (depending on the weather and the load it drops off and picks up from Savusavu). This ferry also arrives at Wairiki wharf in Taveuni around midday to 1 pm.. From there you will be able to catch a public bus or a local taxi to your destination. If catching a taxi, make sure you negotiate the fare before you get in, as the taxis in Taveuni do not have meters. A one-way trip to Taveuni from Suva in Economy will cost you FJ$67 (adult) and $41 (child) per person. First-class is FJ$100 (adult) and FJ$50 (child) per person. Cabins are also available for a premium. Suva: Ferry tickets can be purchased before hand (recommended) from Gounder Shipping office in Walu Bay in Suva or on the day, as you board from the wharf (for a slight premium). There is an alternative way to get to to Taveuni from Suva and it is quite an adventurous journey. Catch the Patterson Ferry (Roll-On-Roll-Off) from Natovi jetty (Tailevu), which is a two hour bus ride from Suva to Nabouwalu (Bua) (4-5 hours). 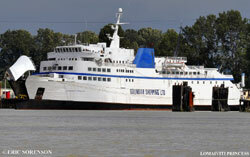 Two ferries leave every day with the first ferry leaving at 7am and the second following with an hour or so. At Nabouwalu you can catch a bus to Savusavu (approximately 2 hours) on a well made road. 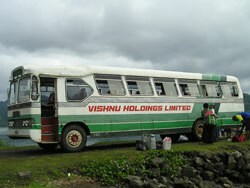 In Savusavu, you can catch another bus to Natuvu (Buca Bay) on a another two hour journey. Please note: to be able to meet the shipping schedules, (and to break up the journey), you will have to spend a night in Savusavu, so please be prepared for this. If you are in Savusavu and you wish to get to Taveuni, there is a small ferry (50 person capacity) that goes from Natuvu (Buca Bay) to Taveuni ("Korean" Wharf, near Naqara). 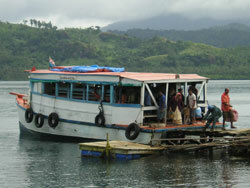 Known as the Taveuni Princess it usually leaves every day except Saturday 1 1/2 - 2 hours to cross the Somosomo Straits. Going this way is quite an adventure, so be prepared for it. 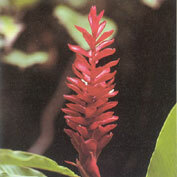 It usually departs Taveuni around 8.30-9am and arrives in Natuvu around 10.30-11 am. It usually departs Natuvu jetty around 11.30am -12pm. Please note: Booking can me made in Savusavu at the bus terminal.